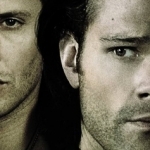 Over the course of Supernatural, the audience has to go through the highs and lows of storytelling, as well as the neutral period of time where the episode is okay but not ground-breaking. I feel like we’re in that neutral zone just about now, with the anticipation of what may come down the road. 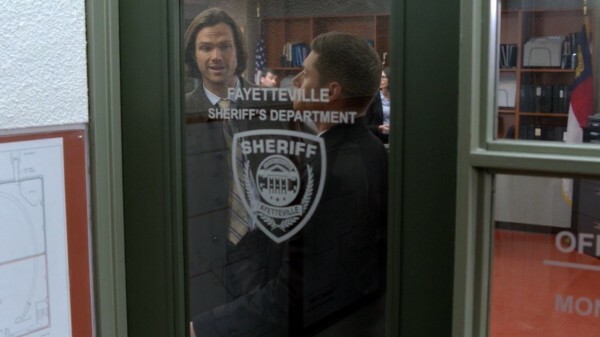 Before I get into the storyline specifics of the episode, I’d just like to state for the record that the Winchesters apparently found the pretty parts of fake Fayetteville because the real Fayetteville, NC does not look like Vancouver. But it was nice to see the military town featured in an episode, even if it was filled with crazed killers. We start off with the previews and a repetition of Sam not knowing what’s going on. That didn’t quite hold true for the episode, so I’m not sure why it was the theme of the preview, but it did bring up a point of how the boys often play their same roles over and over again. Sam is still searching for an answer regarding the Mark of Cain and Dean is just wanting to enjoy what time he has left. Does this feel familiar to anyone? It should, since we went through the same actions when Dean sold his soul. 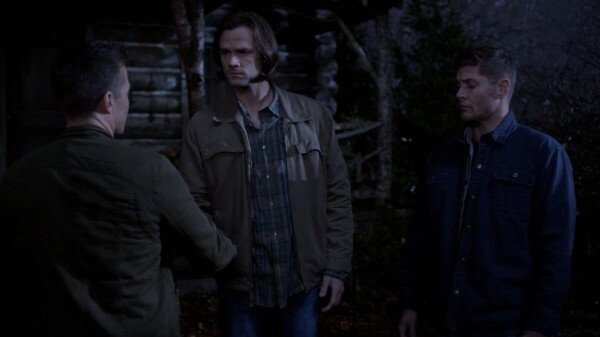 Sam will always try to save his brother, and Dean will always try to prevent Sam from sacrificing himself to do it. I mean, I don’t mind that they will go to the ends of the Earth for each other, but for once I want them to break out and do something different. Throw a wrench in the plans and see what happens. Instead, we have Sam coming to the sad conclusion that maybe all his research and attempts won’t be enough to save Dean, that his brother might succumb and even die as a result of this. I’m not betting on that, not a permanent death at least, but I do foresee some darkness in their future before it’s all over. I hope the excitement and anticipation will return, too. The focus of the episode was on the return of Cole, as well as the Khan worm. I guess I’ll take the lesser of two evils and focus on Cole first. I don’t mind him, but I don’t connect with him as much as I would like. He’s got so much potential to be a hunter, but so far he’s not taking on the task. And maybe that’s because his tragedy is centered in his past, with his father, or maybe we just haven’t found out the true nature of the man himself. Dean said he had never seen anything like Cole’s father before or since, so there’s potential for a deeper story there. But so far we’re just skating along the surface of what might be, and that’s causing me to just skate along in my involvement, too. So, when Cole got infected by the worm and the threat of death was hanging over his head, I just couldn’t bring myself to care so much. I would be fine if he survived, or fine if he died, and I don’t want to feel that way. I’d rather be invested in his character and his outcome. But, so far, that hasn’t happened. Then we have the return of the Khan worm, except it’s Khan 2.0 since this version doesn’t follow the former pattern. When we first saw the worm, back in “…And Then There Were None”, it was a creature that took over its host’s body and memories. And when it departed, the creature left behind a black goo in the host’s ear. This time around, we get a worm that is sucking its host body dry, causing the host to seek out liquids in the form of water and then bodily fluids. It can’t be forced out by electrocution, as the former version could, but instead forced dehydration. So, are there two version of this thing? Or has it evolved and changed? And shouldn’t the Winchesters care? We have a creature that they think they’ve seen before, but the old ways of dealing with it were for naught. I’d be a little more concerned about that fact, as opposed to the basic disinterest that I felt throughout. There are bad things lurking out there, guys. Bad things that are growing and changing. Care a little bit more, so that I can, too.